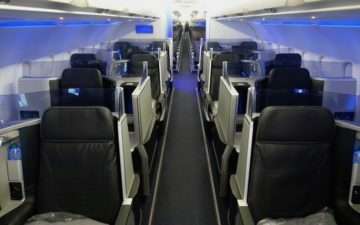 DENVER – A woman faces federal charges after she allegedly lit up a cigarette on a flight and then assaulted a flight attendant, forcing the plane to land in Denver. 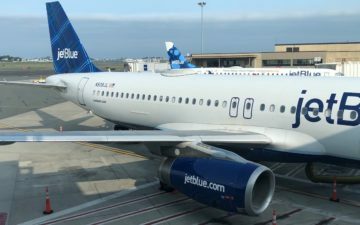 JetBlue flight 643 was on its way from JFK airport in New York City to San Francisco when the pilot had to make an unexpected landing at Denver International Airport Tuesday afternoon. According to an arrest affidavit filed by the U.S. Attorney’s office, 35-year-old Christina Szele of Woodside, NY, “smoked in her seat; yelled obscenities and racial epithets” and later punched a male flight attendant in the face. Simply amazing. You’d think people would have heard about being arrested as a result of actions on a plane in the past and would learn from that, but I guess that doesn’t stop some people. I can’t believe that! Some people just think they can do whatever they want and they won’t get the same consequences as others. it’s ridiculous. She wasn’t raised with any class i guess! !